Trading in the precious metals markets is a little different because the behavior of precious metals differs from the behavior of stocks. Although, unlike stocks, the price of precious metals changes twenty throughout the day, trading happens very much like in the stock market. But precious metals also have industrial uses, which means that their value will also depend on the demand from industries. Investors usually prefer to buy and hoard precious metals especially during times when major currencies have become unpredictable. Your Personal Financial Mentor gives you some of the advantages and disadvantages of investing in the precious metals market. On advantage is the stability of their value. Ideally, it gets to a point where investors become more concerned with the security of their investment rather than even the prospects of making profits. During times of economic recession, it becomes difficult to invest in currencies such as the dollar, for example. Gold and Silver are then considered to be a safe store of value, because you can buy and keep them without having to worry that their value will fall overnight. 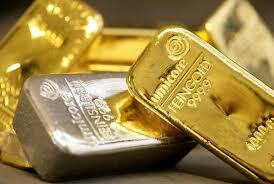 Precious metals are also considered to be a form of protection against inflation. Unlike money, which can be printed easily, you cannot make or print more Gold or silver. Therefore, even at the highest inflation rates, an investor is sure that precious metals will maintain their value. This means that with precious metals, there is s reduced credit risk for the investor. A precious metal like silver has more value that just its perceived role in the trading market. This is because apart from being considered precious, it also has many industrial uses, making it a commodity whose value is almost guaranteed. However, silver prices are much more volatile than Gold, because they also depend on the forces of demand and supply. One thing about this market is that the price of one precious metal influences the price of another. For example if investors decide to hoard gold, gold price rises. Since gold prices are high, people will turn to silver as a less costly option, and vice versa. When they decide to sell their Gold, gold prices will fall. More people will turn to buying gold to take advantage of falling prices. Before deciding to invest your money in any precious metal, you should first take your time to make a careful evaluation of the behavior of that metal.